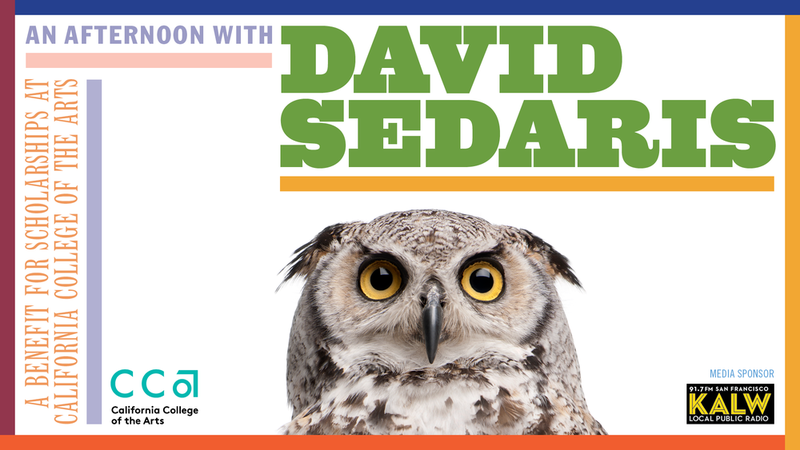 David Sedaris is one of America?s preeminent humorists. He is the bestselling author of Barrel Fever, Holidays on Ice, Naked, Me Talk Pretty One Day, Dress Your Family in Corduroy and Denim, When You Are Engulfed in Flames, and his most recent book, Let?s Explore Diabetes with Owls. 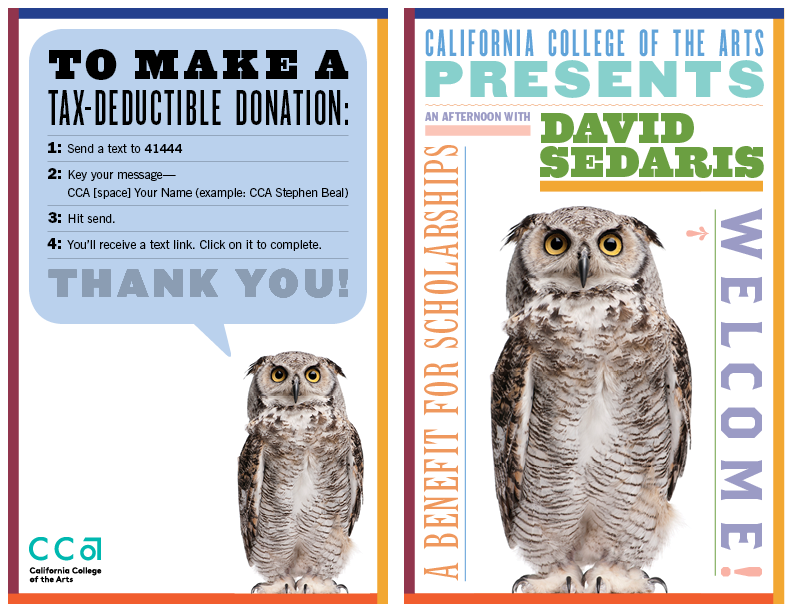 Sedaris appeared at a special benefit reading for California College of the Arts (CCA) on November 13, 2016, at the Oakland Scottish Rite Center. The event included readings from new and unpublished material and a book signing. 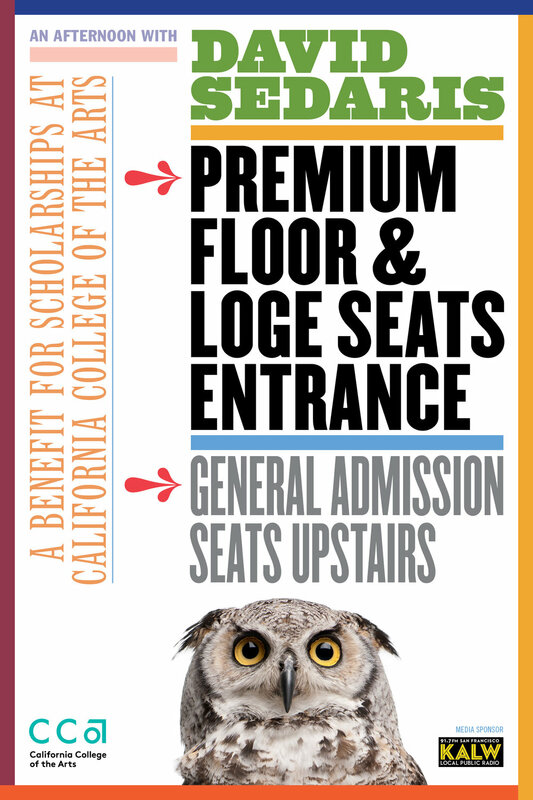 Net proceeds from this event support scholarships students at CCA.